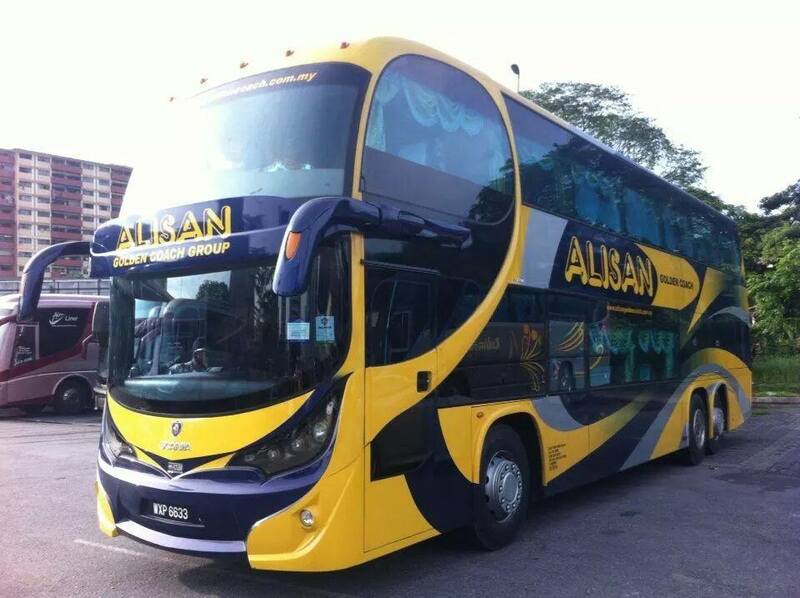 Alisan Golden Coach Express is a popular bus operator that graces the Malaysian highways. They specialise in long distance express bus services from Kuala Lumpur to many cities including Cameron Highlands, Ipoh, Penang and Alor Setar. Apart from trips down south and back from Singapore, Alisan Golden Coach Express is also one of the operators that provide five daily trips from Kuala Lumpur to Hat Yai at reasonable price. Designed by professional, Alisan Golden Coach Express is armed with different type of coaches such as the 26 seater single deck, high deck, 37 seater double deck and others. Some of their coaches come with power plug and free Wi-Fi, and ample legroom for passengers’ comfort. Alisan Golden Coach Express operates at convenient bus terminals that are accessible to passengers, that includes Terminal Bersepadu Selatan (TBS). Apart from their headquarters in Kuala Lumpur, they have a counter in Hat Yai for their passengers’ convenience. Why Alisan Golden Coach Express? Jalan Sultan, 50000 Kuala Lumpur. CatchThatBus offers online bus tickets to many routes covered by Alisan Golden Coach Express as well as seat availability features. You can book your bus ticket online from our website or via mobile app which can be downloaded for free on Google Play or App Store.